12 Reasons why TTi’s 3PL Sprayers can BOOST your results! 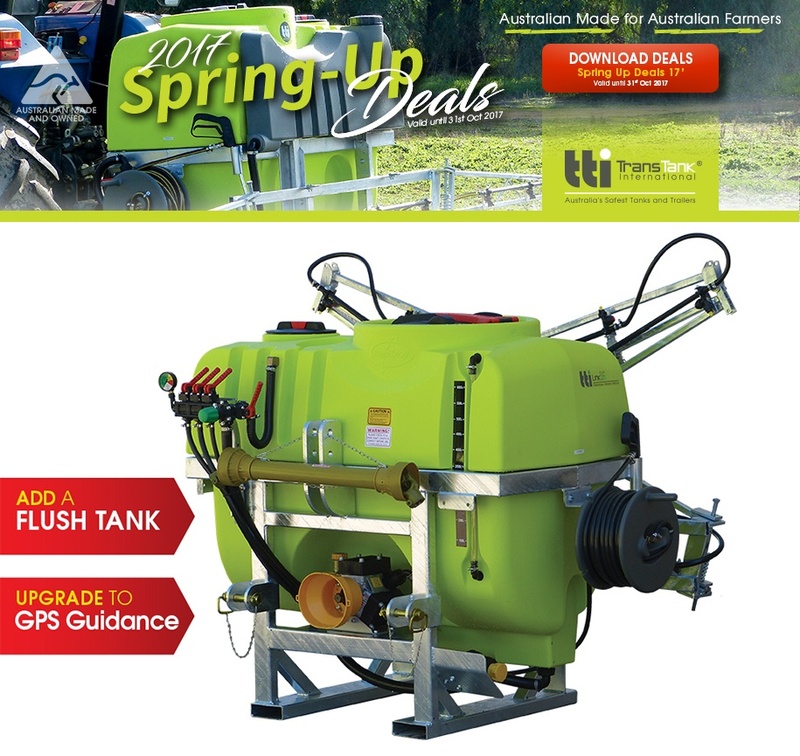 With a huge range of 3 Point Linkage Sprayers available on the market today, TTi has 12 reasons why YOU should invest in an Australian Made LinkOn 3PL sprayer! 1. Calibrated tank with liquid level indication. This ensures that you’ll get the right proportion for your spraying chemicals. 2. 20 Year Tank Warranty! It has 450mm hinged lid that serves as guard from spills. Basket filter with easy access for cleaning and filling. 8. Fully drainable tank with sump, ideal for cleaning and ensuring there is no residue. 10. Hose reel with 30 meters of quality hose, spray gun and holder, perfect in spraying hard-to-access areas. 12. Hot-dip galvanized steel frame able to resist rusting. TTi’s LinkOn 3PL sprayers are manufactured in Northern Victoria, with every unit tested before leaving the factory to ensure the sprayer YOU receive is ready to roll. Choosing the right sprayer to use to ensure optimal performance is critical. As you consider, visit www.tti.com.au to see the many options made available, or call 1800 816 277 for more information.